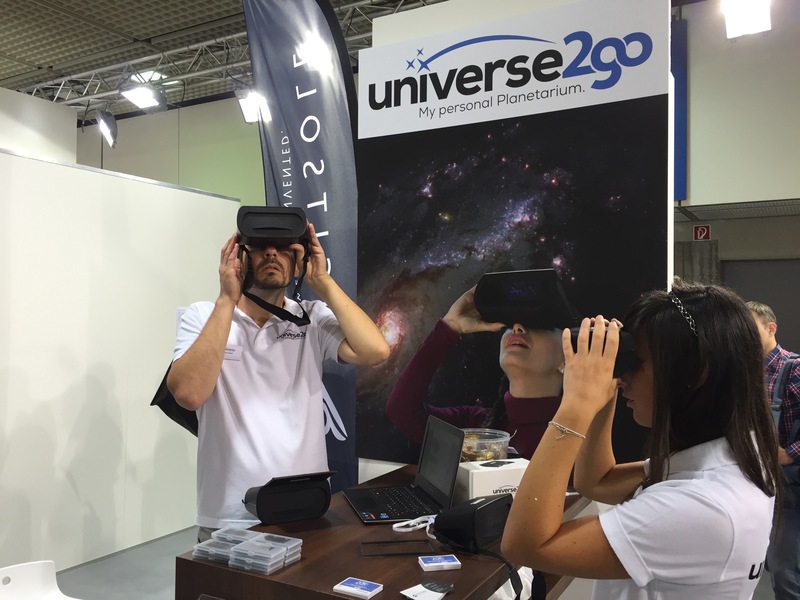 Between the 1st and 6th of February, we will be at the Spielwarenmesse in Nuremberg with Universe2go. In Hall H3A, Stand B-08, retailers and toy specialists can visit us and take a trip through the Universe! Our plan is to reach kids and youths, to create enthusiasm for the cosmos with Universe2go and astronomy. We could not imagine a better way to achieve that goal, than through playing and modern-day technology! Our Universe2rent (German only) program, in which schools and associations can use our star viewer in courses, is our contribution to education in astronomy. Unfortunately, the Spielwarenmesse is only for toy industry representatives and therefore not open to the public. We will, of course, be happy to keep you up to date on our activities at the trade show!